The Fem Dems Athena Mentor Program seeks to uplift members and empower local feminist champions through networking and mentoring. Develop relationships and networks amongst Fem Dems members and the community at large outside of regularly scheduled general meetings and happy hours. Provide individualized resources to Fem Dems members seeking to advance their professional development through informational interviews, 1:1 mentoring, and group mentoring. Demonstrate measurable improvements in the expertise and morale of membership by evaluating the program, mentor/mentee relationships, and individual growth. Sign up to become an Athena Mentor today! Mentors will receive mentor training and opportunities to be mentored themselves! Sign up to connect with an Athena Mentor today! 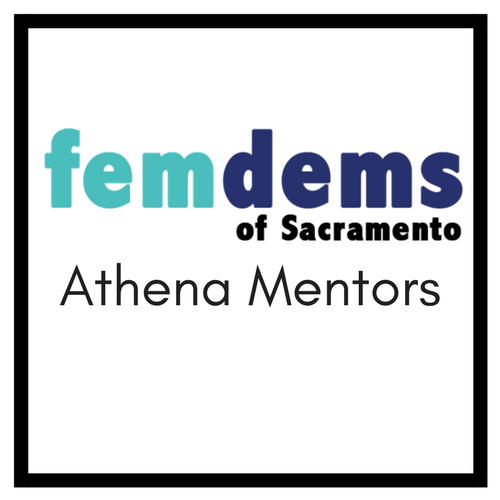 Interested in learning more about the Fem Dems Athena Mentoring Program or have additional questions? Contact the Pipeline Program Director, Mary McCune at mary@femdems.org.